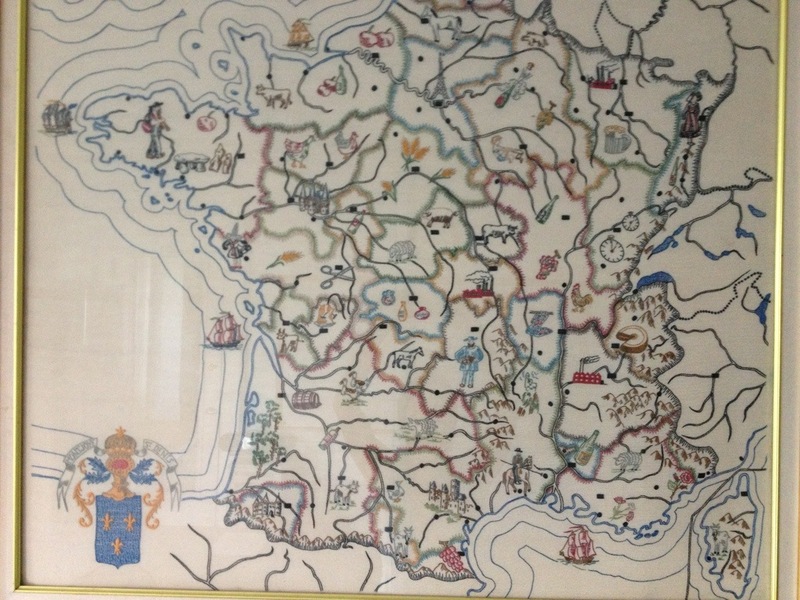 This is a map of France, stitched and framed, on a classroom wall at the French Cultural Center of Boston. Where I’ve been taking French classes twice a week for nearly a year. It shows the products of each region- including- look closely! Beer. I love wine. I do. But France has a long brewing history as well, and I’ve longed to investigate it. So when my teacher, the lovely Swiss Eugénie, told me about an essay competition where I’d have to propose a project about spreading French culture- of course I thought of beer. And I won. Merci Rebecca Valette and the Alliance Française! Airfare and car for 16 days- prize money well spent. Daily installments of new French words de goût and French beer… Coming.